EVER been scrolling through your phone’s contacts and wonder who some of the people are and how they got there, or wonder why you see them 3 times ?!?!?! You might just have ADDRESS BOOK OVERLOAD !!!! I have certainly have been there before and know how frustrating it can be, so fixing this type of situation is what I’ll be addressing in this post. 1) First, backup to be safe. Making massive changes, and syncing two similar address books, if not done carefully, can create havoc on your address book. Backup for google contacts (export), and here for iphone. ii) And if all of your iphone contacts are in google contacts (which they should be if you’ve been using a two-way sync), then delete all of the contacts on your phone with this app or alternative ways as explained here, and then proceed to step 3.
i) What if your contact changes their phone number? How annoying is it to have to change it online, on your computer, AND your phone… or worse, have different info everywhere? ii) And what if you add a new contact to your phone? Wouldn’t it be swell if that number was automatically and instantly online too? Sync relieves you of these worries as it automates it all, making sure that all of your contacts online, phone and computer are exactly the same. It is VERY much worth the 5-minute effort to set up, so do so now with Google CardDav, iCloud or soocial. 3) Improve and Make sure your address book is up to date. 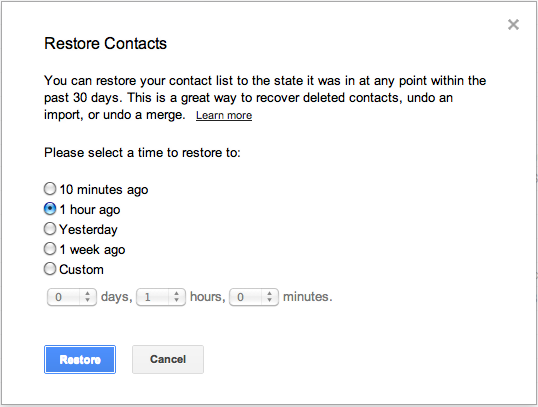 Open Google Contacts now as it’ll be your home for the next 5-10 minutes. At this point, you’re ready to improve and update your address book, and to automate that process, Evercontact analyzes your incoming emails to update your contacts’ information. If you’re not signed up for Evercontact yet, I encourage you to test it out for a month for free. Also, to make sure you have ALL of the info on ALL of your contacts, you might consider purchasing Flashback within your Evercontact settings to reach back a year or 5 years into your email history & update your address book overnight. 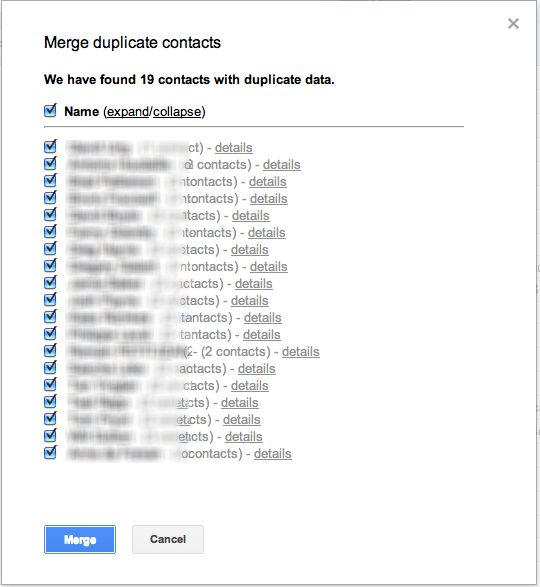 In google contacts, do a “merge” by clicking on the “more” button at the top. You’ll be presented with duplicate contacts or folks that have more than 1 email address. Make them one! Also Scrubbly, a 3rd party service does this well. This is the big step that’ll make a difference on your iPhone. 1) You may have people in MyContacts that you will never call. 2) Alternatively, there may be people for whom you have no phone number, and as google automates who is in your MyContacts, you need to now manually chose who deserves to be there. 3) You can of course have TONS of “other contacts” in Google, but do you really need email addresses with no telephone numbers on your phone? As you’re synced (or soon will be), when you remove someone from MyContacts, they will then be taken off your phone (as long as it’s a two-way sync which is the case with Google CardDav & iCloud). It might take 5-15 minutes to show up depending on your iphone settings, but from here on out, you’re set and with those contacts that matter most to you. Hope this post has been helpful in getting your contacts back to order on the iPhone & of course feel free to share your own tips, favorite services, apps, hacks and other feedback for our readers below! Thanks so much for stopping by & sharing your thoughts. Hadn’t heard of Macgo iPhone Cleaner so I’ll definitely give it a look! I agree that apps certainly help, and yet I find it easier to base your contact base in the cloud where you can access it from your phone, computer or elsewhere (which is why google contacts / google sync has been my go-to productivity hack & this post the only way I know to get that setup).